Most people might have neck pain these days or at some point but not a lot of them know how to address the pain properly. People either resort to painkillers, an occasional massage or just ignore and try to live with the pain because it just keeps coming back anyway. But doing exercises is actually a sustainable way to help treat your neck pain because it often leads to improved posture, range of motion and functionality of your body. 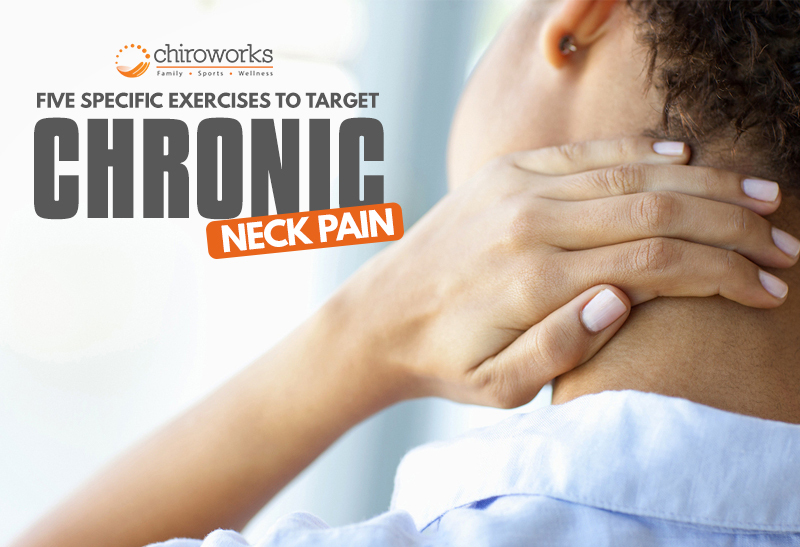 Here is the five specific strength exercises target the neck and shoulder muscles involved in causing chronic neck pain. · Begin by standing upright with the hand weights at the side of your body. · With the free arm, you pull the weight up towards your lower chest. When the pain doesn’t go away, despite the changes you’ve done in your daily routine and habits as well as doing targeted exercises, the next logical step would be to consult a professional. Instead of relying on pain killers that only numbs the pain but doesn’t really treat the condition, seeking a chiropractor can help detect the real cause of the pain, provide comprehensive treatment that fits your specific condition, and prevent the pain from coming back. The chiropractor can also give recommendation on nutrition and exercises that will help improve your condition.